Manager, Graeme Smith has added central defender, Tyler Corlett to his squad at West Street. Corlett, who is a tough tackling defender joins the SeedGrowers from local neighbours, Witham Town. Tyler has already appeared for Witham against the Town this season, in the FA Cup, the Bostik League and the FA Trophy. 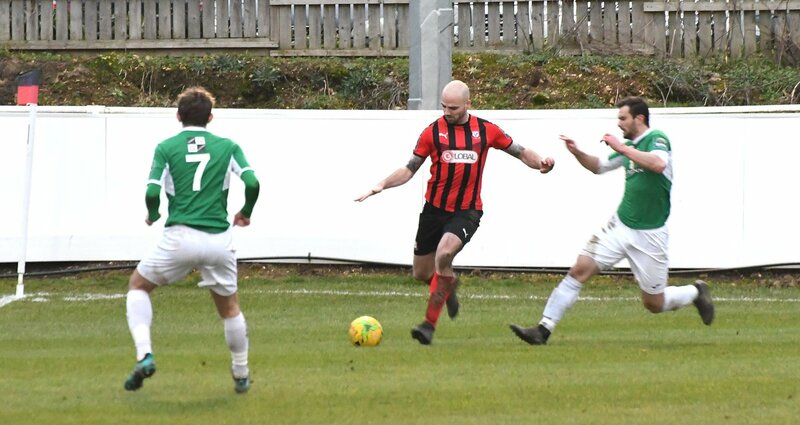 Corlett, pictured, made his Coggeshall debut on Saturday against Dereham Town as he helped his new team mates record a clean sheet. Everyone at West Street would like to welcome Tyler to the club and we look forward to seeing him perform for the SeedGrowers.